Several weeks after a late-night, FBI raid of his home and offices, Trenton Mayor Tony Mack saw his power shut off due to non-payment, according to a published report. 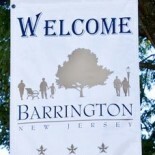 After power was restored, an NJ.com report showed the former business administrator for the Barrington school district owes about $50,000 to the IRS and has two properties in foreclosure. Over the past two weeks, FBI agents have seized evidence from several properties and City Hall in a search for evidence of bribery, extortion, fraud, money laundering and drug dealing linked to the Mack administration and associates like Joseph “JoJo” Giorgianni, a campaign contributor. Most of Mack’s past foreclosures and debts — including $34,800 in back taxes and fees for a fire-damaged property at 29 Hampton Avenue — piled up after Mack lost his $80,000 job as the city’s recycling coordinator in 2004. A short stint as a business administrator for the Barrington school district in South Jersey ended in late 2008 with a contract buyout. This entry was posted on August 6, 2012 by Barrington Bulletin in Region, Schools and tagged tony mack.